Buoy makes managing water easy. Smart appliances have allowed us to take control of our home security, heating, lighting, and more. 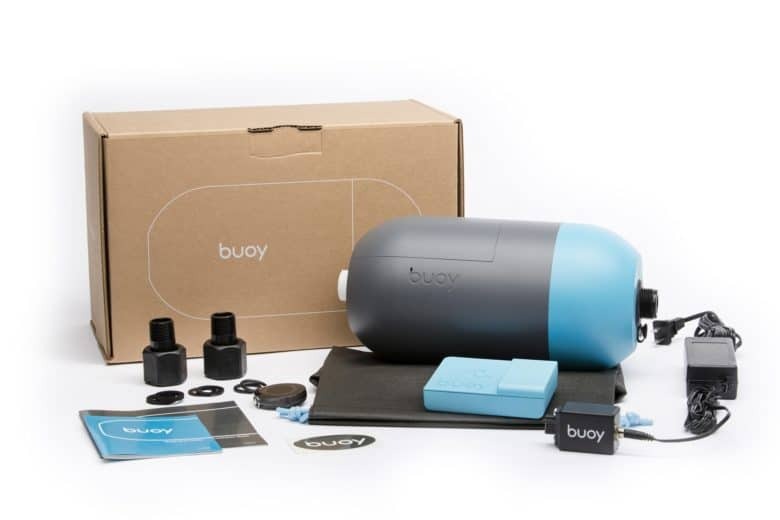 Now you can do the same with your water supply, thanks to Buoy. This revolutionary new smart device uses artificial intelligence and machine learning to give you a complete understanding and complete control over your water. It alerts you when there’s a leak, lets you shut off supply remotely, and helps you avoid unexpected bills. Recent studies have found that 10 percent of all home water is wasted on leaks in the United States. Couple this with the rising cost of water bills, and we have a serious problem that’s incredibly difficult to solve. Except it’s not, if you have a Buoy. Buoy attaches to your existing water line and provides real-time usage data. You can see exactly how much water you’re using and where it’s going. You might think your kids are using the shower too much, when in actual fact, it could be the washing machine or sprinklers that are the issue. Once you have this information, you can make smart, informed decisions about where you need to cut back. You can avoid unexpected water bill increases that could be the result of an unidentified leak, like a running toilet or a faulty sprinkler head. You can also use Buoy to get leak alerts as soon as they are identified. And with the ability to shut off your supply remotely using your phone, you won’t have to worry about catastrophic damage to your home as the result of a burst pipe. Buoy is installed by a licensed plumber and comes with a lifetime subscription to the Buoy service for $799. You can learn more and order yours from buoy.ai.